Available extras include extra cheese $.60, extra meat $2.95, bacon $1.25, mushrooms $.60, green peppers $.60, sweet peppers $.60, and peperoncini $.60. Add house dressing on the side for $.50. Available extras include extra cheese $.60, extra meat $2.95, bacon $1.25, mushrooms $.60, green peppers $.60, sweet peppers $.60, and peperoncini $.60. Served with chips and a pickle slice on your choice of white bread, wheat bread, rye bread, or a kaiser roll. Available extras include extra cheese $.30, bacon $.75, mushrooms $.40, green peppers $.40, sweet peppers $.40. Served with 2 sides including fries, mashed potatoes, mac & cheese, apple sauce, cole slaw, or veggie of the day. Available toppings include bacon, black olives, extra cheese, green peppers, ground beef, mushrooms, onions, pepperoni, sausage, tomatoes, broccoli, pineapple, spinach, sweet peppers, salami, feta cheese ($1 · 12" / $1.75 · 16") and grilled chicken ($2 · 12" / $2.75 · 16"). $11.75 · 12" / $14.75 · 16"
$13.25 · 12" / $16.75 · 16"
$15.00 · 12" / $18.75 · 16"
$16.75 · 12" / $20.75 · 16"
$18.50 · 12" / $22.75 · 16"
$9.75 · 12" / $12.75 · 16"
$16.75 · 12" / $21.75 · 16"
$18.00 · 12" / $24.00 · 16"
What is John's Fit Meals? Have you ever wanted to eat healthier but not settle for bland tasting food??? With John's Fit Meals you can enjoy healthier food with great taste. 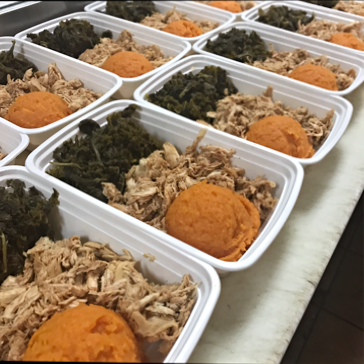 Our meals are pre-portioned out or customized to meet your needs so all you have to do is pop the lid and put it in the microwave. Our menu is sent out every WEDNESDAY via text, email, or social media. All you have to do is choose which meals you would like to get then send it in via text or email by Saturday afternoon so we can have your whole weeks worth of food ready for pick up or delivery on Monday.. After we receive your order you will be sent an invoice to your email address. Conveniently located just off of Annapolis Road, John’s Italian Deli has been family owned and operated for over eighty years. Whether you're looking for dinner to take home, Italian and American, hot subs, cold subs, pizza, soups, party trays, catering and much more. We want to make your dining experience the best ever. At John's Italian Deli, our goal is to provide you with courteous, expedient, professional service of the highest quality food available. At John's Italian Deli, we offer only the finest quality products and services at your location. Let us help make your next event the best ever! John’s Italian Deli has been owned and operated by the same family for over eight-eight years. We have been serving the community for a very long time and we look forward to serving you. Great food is the number one mission of the Deli. 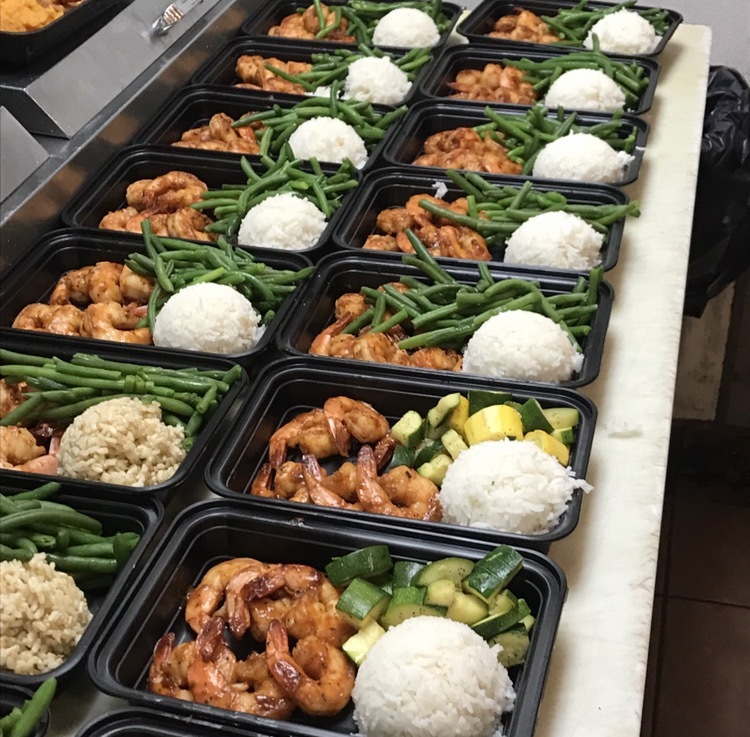 Using high quality ingredients and experienced staff is our way to ensure that each and every customer has an extraordinary experience that they'll want to try again. The atmosphere of the Deli is clean, warm and inviting. This environment is combined with knowledgeable and friendly staff to make certain that you are only eating quality foods and receiving top notch service.